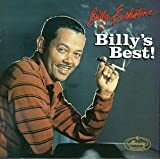 Although best known as a popular balladeer, Billy Eckstine, an early supporter of the new music, led the first bebop band. He was born William Clarence Eckstein on July 8, 1914, in Pittsburgh, Pennsylvania, and, until he suffered a broken collar bone as a teenager, had considered a career in sports. After winning an amateur singing contest while in college at Howard University, he entered a full-time vocal career and changed the spelling of his last name. In 1944 he formed his own band to back his vocals, but in hiring such personnel as Parker, Gillespie, Art Blakey, Dexter Gordon, Fats Navarro, and others, the group became known for its bebop-laced instrumentals and fine arrangements. 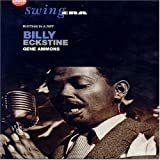 Eckstine’s popular vocal recordings--hits such as “Prisoner of Love” and “Cottage for Sale”--helped to support the band, but it wasn’t enough, and in 1947 he disbanded the group. Throughout the forties Eckstine charted with songs like “Everything I Have Is Yours,” “Blue Moon,” and “Caravan,” and in 1950 his deep, romantic baritone took “I Apologize” to number seven on the charts. He was MGM’s top selling vocalist in 1950, often referred to as “The Sepia Sinatra,” and took top vocal honors in both Metronome and Down Beat magazines. Eckstine’s suave good looks led to TV and movie appearances, and in the ‘60s he recorded with Sarah Vaughan and with Count Basie. His 1986 recording Billy Eckstine Sings with Benny Carter was nominated for a Grammy. He died of a heart attack on March 8, 1993.